Sally Rodrigues is a determined and inspirational sailor from Bristol. As a member of the Great British Blind Sailing Team, Sally has previously won three bronze medals in Blind National Sailing competitions. At the competition last year, Sally achieved her long-term aspiration and was crowned National Sailing Champion. Since 2003, she has been making use of the facilities at various Everyone Active centres in Bristol, currently training at Horfield Leisure Centre. Prior to her sailing success, Sally was a national squad swimmer. 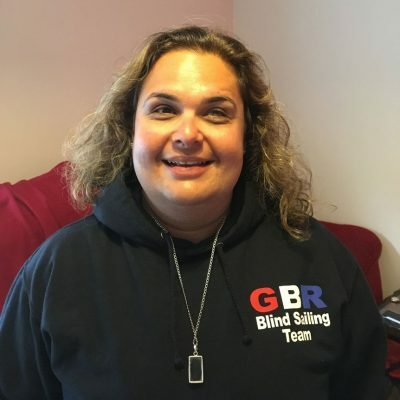 She now represents Team GB sailing on an international level, and is setting her sights on success at the Blind World Sailing Competition in September. Sally aims to use her sporting success to raise disability awareness, and break down the barriers for blind men and women in sport.